OTTAWA (Bloomberg) -- Canada's government has begun a search for investment banks to sell its stake in General Motors Co., a person familiar with the matter told Bloomberg. The government hasn't decided on the timing of any sale, said the person, who asked not to be identified because the plans aren't public. Sky News reported on Wednesday that Canada has asked investment banks to make pitches in coming days for the share-sale mandate. Finance Minister Jim Flaherty said in December Canada doesn't intend to be a long-term shareholder in GM. The federal and Ontario governments together hold 140 million common shares, or a 10 percent stake, valued at $5.1 billion at the current stock price, according to data compiled by Bloomberg. Canada is the third-largest shareholder, behind the U.S. Treasury and the GM-UAW Voluntary Employee Beneficiary Association. "The government of Canada remains committed to exiting from ownership of GM as quickly as feasible, while maximizing the value of the government's interests for Canadian taxpayers," Kathleen Perchaluk, a spokeswoman for Flaherty, said in an e-mailed statement today. In December, GM said the U.S. Treasury planned to sell its entire holding in the automaker within 15 months. GM stock has gained 11 percent following an initial public offering in November 2010 that raised more than $20 billion at $33 per share. The shares have risen about 27 percent this year. 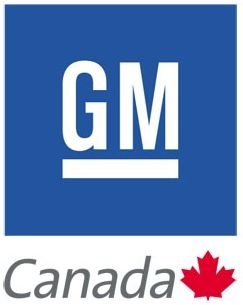 Canada GEN Investment Corp., the agency that oversees the holdings for the two Canadian governments, had hired investment bank Rothschild Canada Ltd. to advise on the GM holdings. Two-thirds of Canada's stake is held by the federal government and one-third by the Ontario government. Canada and the province of Ontario agreed to invest $9.5 billion in GM as part of the car company's bailout in 2009. They sold 35 million of their 175 million shares in the IPO. David Drinkwater, chairman of Rothschild Canada in Toronto, didn't respond to a phone call seeking comment. Andrew Chornenky, a spokesman for Ontario Finance Minister Charles Sousa, didn't immediately reply to phone calls seeking comment.